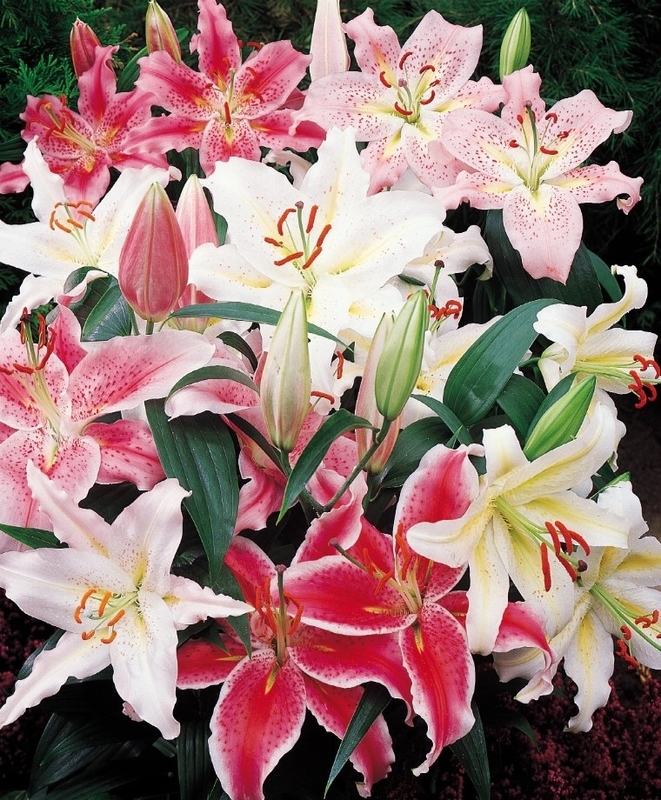 Our prized mixture of Oriental Lilies is comprised of pink, white and red varieties for incredibly lush, deliciously fragrant garden display. 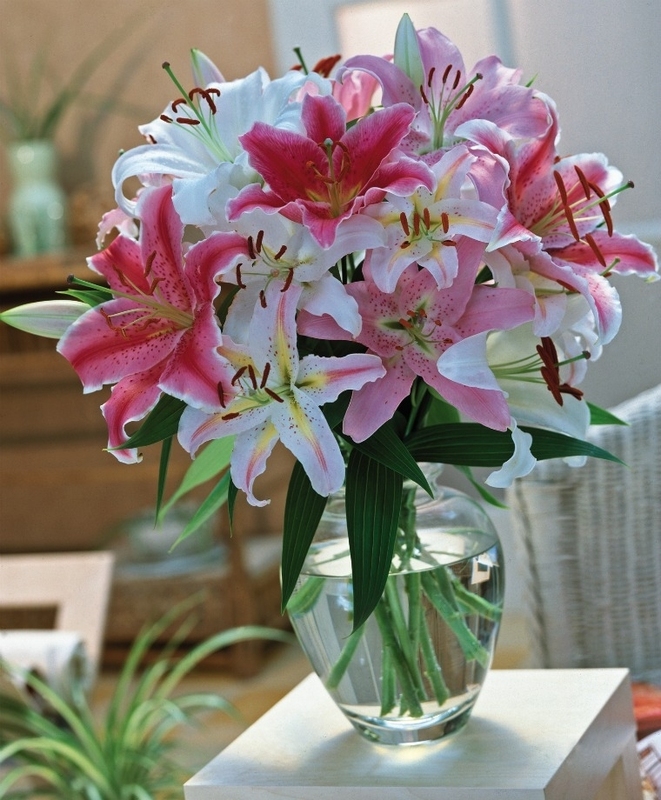 Abundant producers for lush garden display or summer flower arrangements, Orientals have large reflexing flower petals and a wonderfully sweet fragrance. 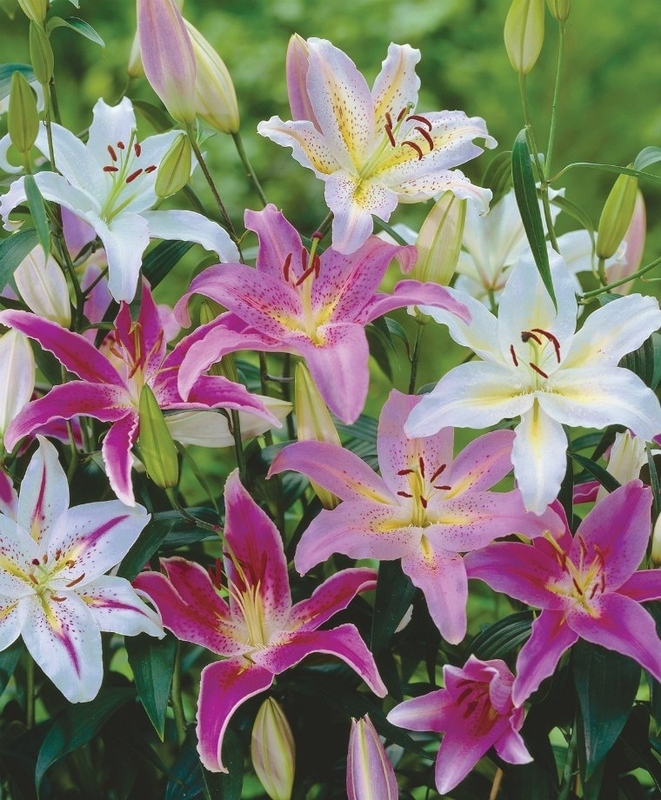 Plant Orientals near terraces and bedroom windows, alongside well-visited summer porches and in cutting gardens so you may savor their heady fragrance fully. We ship them to the coldest areas first, just as soon as they are in from the Dutch harvest in mid-October. Lily Class: Oriental. Bulb size: 16/18 cm. July/August. HZ: 5-8. 3' to 5'.